Michio Kaku is the co-founder of String Field Theory and is the author of international best-selling books such as Hyperspace, Visions, and Beyond Einstein. Michio Kaku is the Henry Semat Professor in Theoretical Physics at the City University of New York. This article is excerpted from his new book, The Future of the Mind. Vision, which we think happens effortlessly, requires billions of neurons firing in sequence, transmitting millions of bits of information per second. And remember that we have signals from five sense organs, plus emotions associated with each image . All this information is processed by the hippocampus to create a simple memory of an image. At present, no machine can match the sophistication of this process, so replicating it presents an enormous challenge for scientists who want to create an artificial hippocampus for the human brain. If encoding the memory of just one of the senses is such a complex process, then how did we evolve the ability to store such vast amounts of information in our long-term memory? Instinct, for the most part, guides the behavior of animals , which do not appear to have much of a long-term memory. But as neurobiologist Dr. James McGaugh of the University of California at Irvine says, “The purpose of memory is to predict the future,” which raises an interesting possibility. Perhaps long-term memory evolved because it was useful for simulating the future. In other words, the fact that we can remember back into the distant past is due to the demands and advantages of simulating the future. Indeed, brain scans done by scientists at Washington University in St. Louis indicate that areas used to recall memories are the same as those involved in simulating the future . In particular, the link between the dorsolateral prefrontal cortex and the hippocampus lights up when a person is engaged in planning for the future and remembering the past. In some sense, the brain is trying to “recall the future,” drawing upon memories of the past in order to determine how something will evolve into the future. This may also explain the curious fact that people who suffer from amnesia —such as HM— are often unable to visualize what they will be doing in the future or even the very next day. “You might look at it as mental time travel— the ability to take thoughts about ourselves and project them either into the past or into the future,” says Dr. Kathleen McDermott of Washington University. She also notes that their study proves a “tentative answer to a longstanding question regarding the evolutionary usefulness of memory. It may just be that the reason we can recollect the past in vivid detail is that this set of processes is important for being able to envision ourselves in future scenarios. This ability to envision the future has clear and compelling adaptive significance.” For an animal, the past is largely a waste of precious resources since it gives them little evolutionary advantage. But simulating the future, given the lessons of the past, is an essential reason why humans became intelligent. 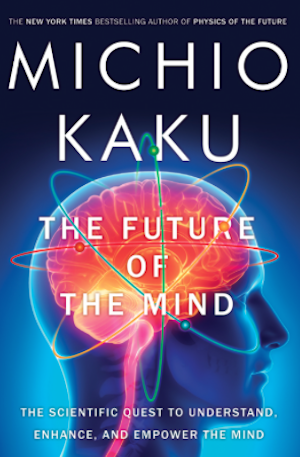 Excerpt from THE FUTURE OF THE MIND: THE SCIENTIFIC QUEST TO UNDERSTAND, ENHANCE, AND EMPOWER THE MIND by Michio Kaku, copyright 2013 by Michio Kaku. Used by permission of Doubleday, an imprint of the Knopf Doubleday Publishing Group, a division of Random House LLC. All rights reserved.